Neck, chest and décolletage areas are often open and expose, giving away your age. We can make beautiful quality skin of face, but if neck skin is overlooked, such difference may look unnatural. For best aesthetical results, cosmetic doctors in the clinic recommend to treat all exposed areas at the same time for even, harmonic, natural look: face, neck, décolletage and hands. Neck and chest undergo similar aging changes as face – loss of volume, wrinkles, thin, pigmented skin, loss of collagen and elastin. 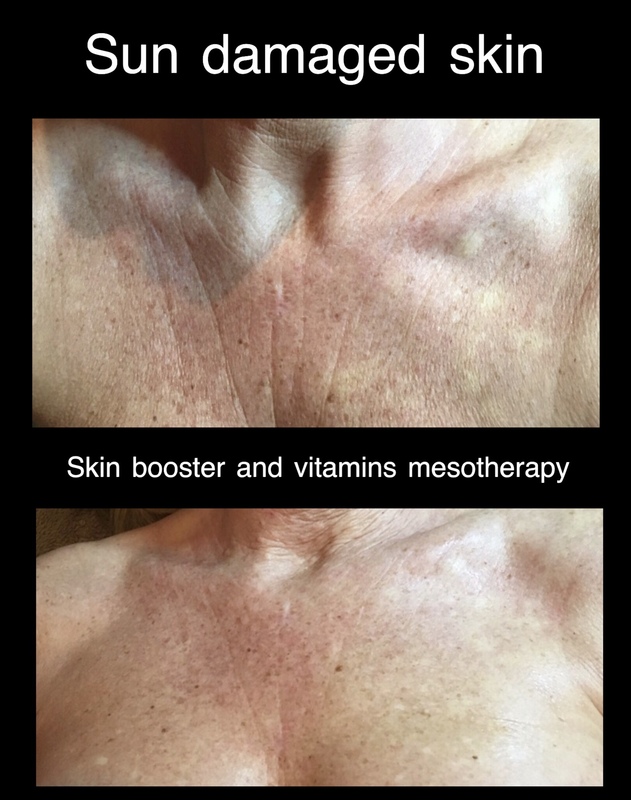 Patients often concerned of discoloration, wrinkles and crepiness of neck skin, lines over chest, static lines. As we age, prolonged bands are also more noticeable, and jaw line less define, face skin dragging down, prolapsing over the jaw line. Sun exposure (together with genetics) plays significant role in premature (early aging) process in this area, dark pigmentation, dryness of the skin and red lesions. Sun damage of skin also increases risk of skin cancer. It is very important to ensure regular use of quality sunscreen in neck, chest and décolletage areas. Please, see doctor for skin assessment of sun damaged areas regularly and/or if any of your lesions/spots changed in colour, size or shape. 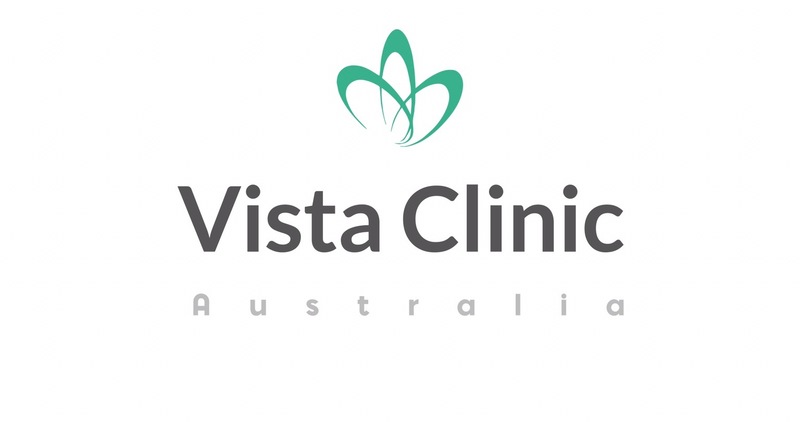 All VISTA clinic doctor are trained on prevention, diagnosis, biopsy and treatment of skin cancer. We also have dermatoscopes (special medical grade magnifying device with LED light) to assist skin problems most precise diagnosis. If needed, we also use electronic device to take microscopic photographs of your lesions, which helps to catch up early changes during progress monitoring. Which treatments are for neck? Same treatments can be done to rejuvenate neck and your face. In fact, such approach is recommended to ensure natural look and harmonic cosmetic appearance. How can neck skin tone and texture be improved? You can use your usual home skin care for face around neck and décolletage areas, apply it all the way down to your breasts. 1 of most evidence based and research is applying sunscreens before going to sun and every 2 hours of sun exposure. Cosmetic physician can also use number of procedures to improve appearance of neck and décolletage areas. Medical grade peels: In our clinic, we individually tailor peels of different active ingredients, concentrations, pH or it’s mix to different areas of skin. Such approach was described by Dr Larissa Miller and works more efficient that just same peel all over the area. Also, PRP (platelet rich plasma) can work well for quality of skin, especially on a background of inflammation, redness, dermatitis, stretch marks and other problems. The method is used in different areas of medicine, like joints problems, fasciitis, bursitis, hair loss and many others. It is basically separating most active ingredients from your blood and injecting it into problematic ares which needs to be rejuvenated. What can be done for static wrinkles or lines on neck or chest? Horizontal lines is common and sometimes can be seen at early age. Skin boosters with hyaluronic acid and cocktail of vitamins usually used for such ares with good effect. Also, small dose of diluted muscle relaxants can soften appearance nicely, but must be experienced expert level doctor to inject because neck skin is thin and the medication can spread into breathing muscles. Please, ensure your safety by seeing experienced doctor and only if emergency equipment is present in unlikely case of complications. 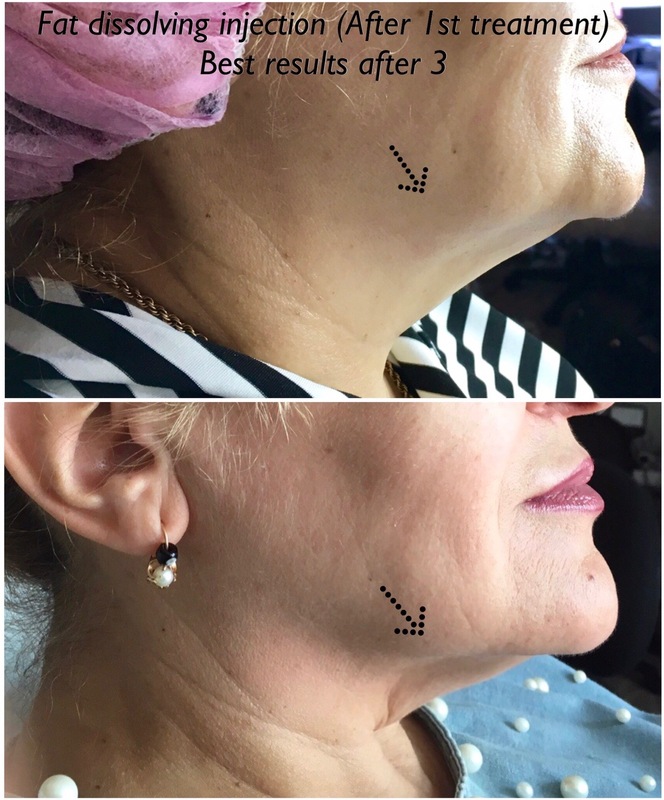 What treatments for vertical neck bands? Such neck bands are parts of neck muscle called platysma. Platisma is an interesting muscle, covering the neck and jaw line like a blanket and mainly pulling tissues down. Therefore best (most appropriate) treatment for vertical neck lines is muscle relaxant injections. The cosmetic injection technique also has been called “Nifertiti neck lift”. 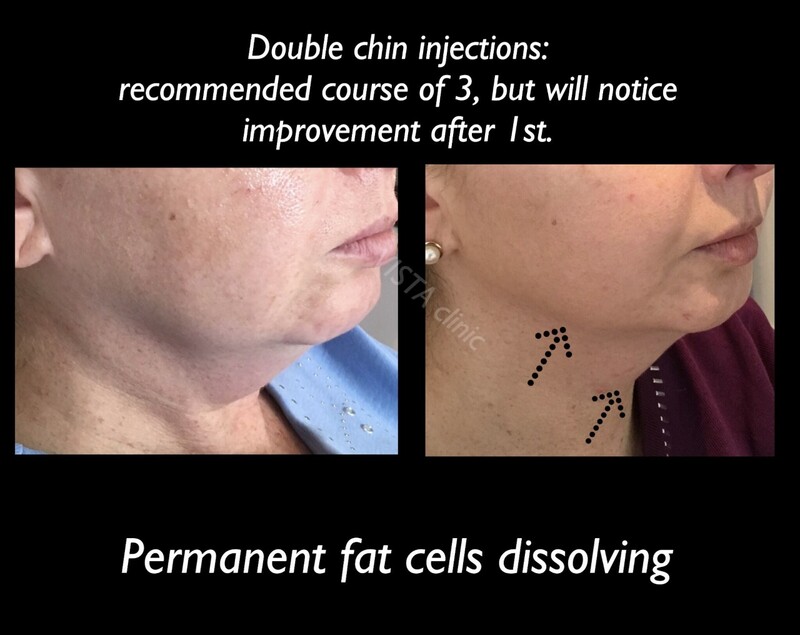 Neck Fat – what to do? Neck fat is a part of aging process and is associated with aging process, weight gain and genetics. Many of our patients mentioned that noticed most significant improvement in appearance after neck fat treatment. Traditionally, neck fat, double chin, jaw jowls has been treated with liposuction. Such procedure is relatively easy in experienced hands and performed under local anaesthetics. Excessive fat is being removed permanently. Not all patients would like any surgical work on their face, therefore non surgical fat removal alternative is getting more popular. Skin excess – how to improve it? It is not uncommon part of aging process. Mild degree – Course of 3 biorevitalisation with peeling and nano threads. Moderate degree – Options include thread lift with cogs or surgical grade 1 stick lower face lift. Severe degree – Best managed by surgical approach.